Our inaugural ELEVATE: Conversations features director and actress Shirley Jo Finney, the first African-American to graduate with an M.F.A. 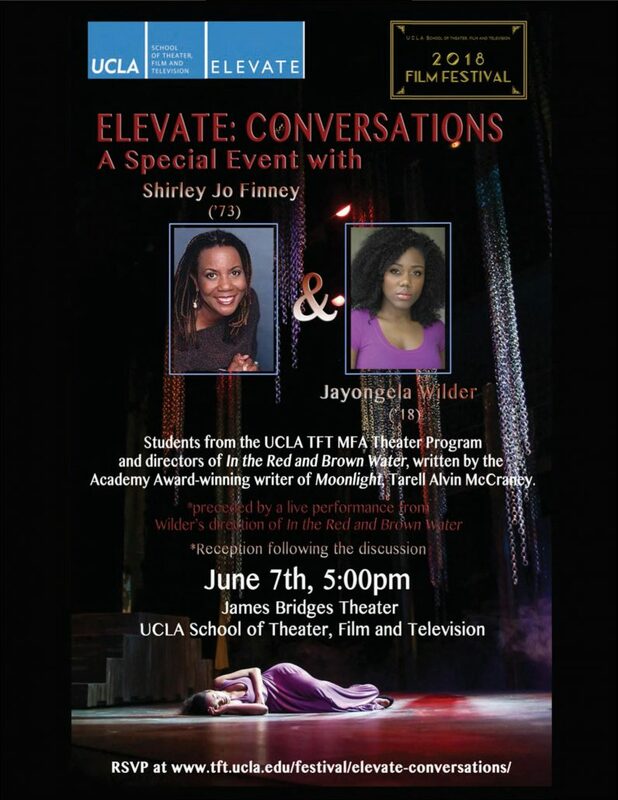 in Theater Arts from UCLA, and Jayongela Wilder, current M.F.A. Candidate, who will be the first African-American woman to graduate from the UCLA Theater Department with a specialization in Directing. 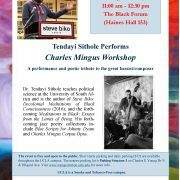 Moderated by Los Angeles Times journalist Tre’vell Anderson, Finney and Wilder will bring together past and present, as they discuss their respective experiences at UCLA, directing In the Red and Brown Water for the stage, and their artistic visions and goals as black female storytellers. Shirley Jo Finney is an award-winning international director of theater, television and film, as well as an accomplished actress. Most recently, Finney directed and developed the world premiere of Citizen: An American Lyric, by the award-winning PEN poet Claudia Rankin. Finney has received many prestigious awards for her directing work, including a 2017 Denham Fellowship from the Stage Directors and Choreographers Foundation, the L.A. Drama Critics Milton Katsleas Distinguished Career Award, an LA Stage Alliance Ovation Award, an NAACP Image Award, and a Santa Barbara Independent Award. Jayongela Wilder is an M.F.A. Candidate in the Theater Department at the UCLA School of Theater, Film and Television, specializing in Directing. For her thesis, she directed In the Red and Brown Water, written by Academy Award-winning writer Tarell Alvin McCraney. Wilder is also a trained actress having earned her B.F.A. in Theater with an emphasis in Musical Theater at University of Florida. In 2017, she received a full scholarship to study acting with an emphasis on Shakespeare at the British American Drama Academy at Magdelen College, Oxford in Oxford, England. Tre’vell Anderson, M.A, Reporter, Los Angeles Times Journalist – Social Curator – World Changer. ELEVATE is a student-run organization within the UCLA School of Theater, Film, and Television dedicated to celebrating the voices and diverse contributions of women and multicultural filmmakers, actors, theater practitioners and scholars.